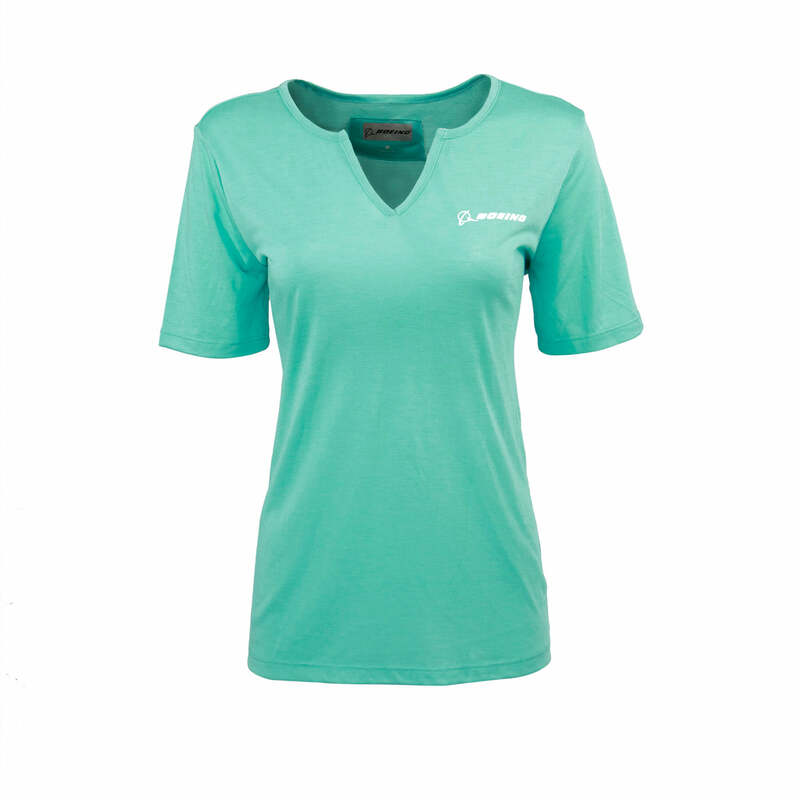 An elegant and comfortable V-neck T-shirt for the gym, errands, casual Fridays, or lounging at home. This relaxed tee is made with a 50% cotton/50% Visose fabric that has an amazing drape and feel. It's styled with a split placket neck opening, drop tail, and a screen-printed Boeing signature logo in white on the left chest. Machine wash cold, tumble dry. Island Heather. Imported.